There’s a number of factors that can make productive and effective employees frown upon their jobs. For one, it may be that the workplace’s culture is clashing with the employee’s personal values or beliefs. It may also be due to low team synergy and poor camaraderie influenced by top management. To be spot-on, Career Builder enumerated findings on a 2014 Chicago survey conducted to unravel what makes a worker dissatisfied in his current company. Of the 3,008 full-time employees from various private companies, the following are areas which some of them attributed on their current work. Also, 58% of the sample size expressed displeasure in their current jobs, and ruminated on changing jobs in the New Year of 2014. But again, there’s a handful of things you should consider, or should’ve done at least, before you decide to walk out of the door. After all, there will always be uncertainty in the job market, and your current job constants (e.g., free lunch, concessions, work-from-home options) may not always be applicable elsewhere. The rationale is to at least be considerate in giving your current work a chance to win your trust and confidence back. Unfortunately, not all bosses are sensitive enough to sniff the problem. Some of them may even be indifferent about it, treating ‘office blues’ as a normally occurring event in the workplace. However, if your boss DMs you and acknowledges that problems are in fact existing – and that he’s trying his best to alleviate it – then you know you have a concerned superior. Give him some time to address issues, but be also cognizant enough to spot if he’s really doing something. If you found out that those are just empty promises, then that’s the time you leave. #2: Your boss should be present and hands-on more. This is essentially true, and if your employer really wants to make both ends meet again, he’ll talk to you or your team personally. Nothing replaces a closed-door meeting where you’re freely allowed to air your concerns. If your boss continues his remote ways (i.e., communicating through online as if nothing is going on), then that’s a clear cause of concern. Having your boss around more frequently is morale-boosting, since you have that figurehead to look up to and the ultimate person who can augment that rift. Forbes reports that employees who forsake their current jobs for better career opportunities amount to more than 4 out of 10 (41%). These include companies having initiative for sponsoring employee trainings, certifications, webinars, and other modes of learning. If, as a response, your boss scheduled a skill-based seminar for your team, or at least gave you monetary allowance to personally enroll on those, that could be a good sign for better things to come. Stay for a while. You’ll surely agree with me that this is the question you’ve long waited for your boss to ask you. It’s pretty straightforward, and will encourage you to answer directly too, instead of stuttering and beating around the bush. This question aims to unravel what really works and what doesn’t for the company you belong to. No more middle grounds and false assumptions – your boss should be frank and willing to negotiate with you. Let’s face it: nobody says no to incentives, especially if it means cost-savings or added bucks on top of what you’re currently getting in exchange for your work. For instance, free snacks every other day or attendance premiums (when you’re so used to having complete attendance). When these small perks start coming off in bunches, you know that your boss is up to something, like a grand reveal surprise or work reorganization. 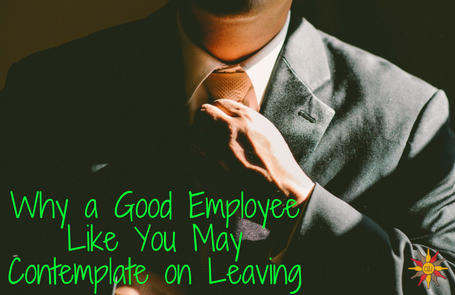 As a wrap-up, resigning from your current job shouldn’t be an absolute cake walk decision. It should be something that’s contemplated upon, and carefully considered. Does your boss do the littlest of things to save you, like those mentioned above? Or is he showing the door to you himself? Only you can answer – and sense – that. Wade is an essayist at wedoessay.com. He incorporates nature’s beauty in his writing. Besides excellence, he puts his lovely wife and two kids at the center of his craft. 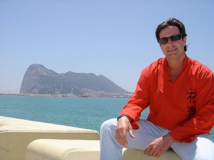 He is fond of physical contact sports and considers South America as a haven for tourists.